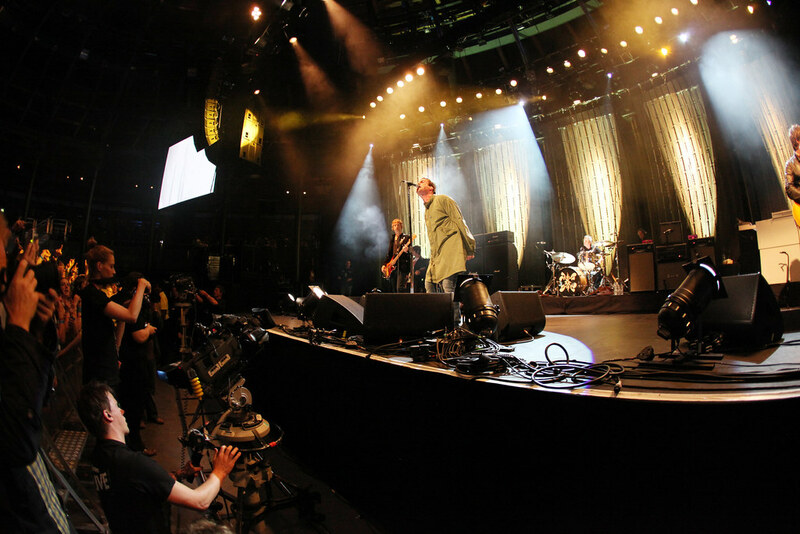 My first gig to photograph in London was Oasis at the iTunes Live Festival at the Roundhouse in Camden. 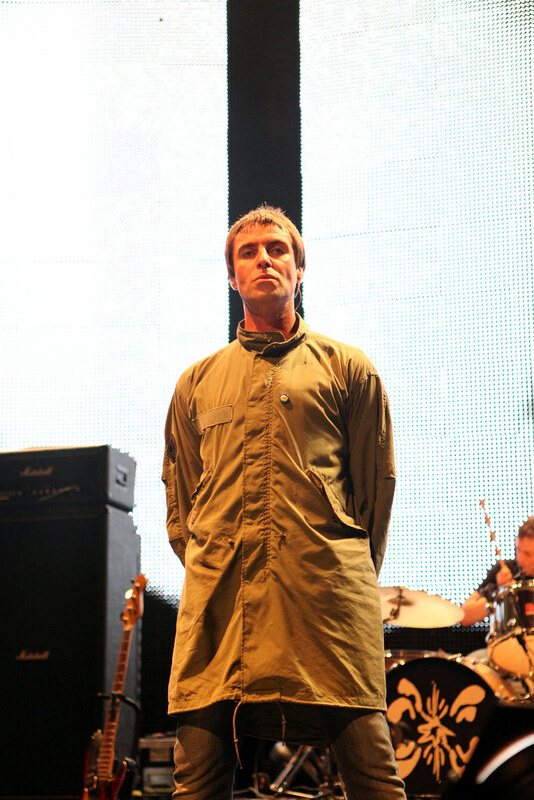 I’m not the biggest fan of Oasis, but they were tight musically and I’m pretty sure most of the audience left happy (despite the constant jibes from Liam Gallagher insulting Camden residents about how they dress). As a twist to the “first three, no flash” rule, photographers were given the second, third and fourth songs to shoot. The photo pit was a bit of a squeeze though. Two camera operators and cable runners were with us, along with a track for the cameras to run on. Mixed with the photographers and security, it was tricky not to either get run over by a camera, or in front of another photographer (as can be seen the second photograph below). Could have done with another 2ft in the pit really, but still – it’s all experience. Oasis and the photo pit.